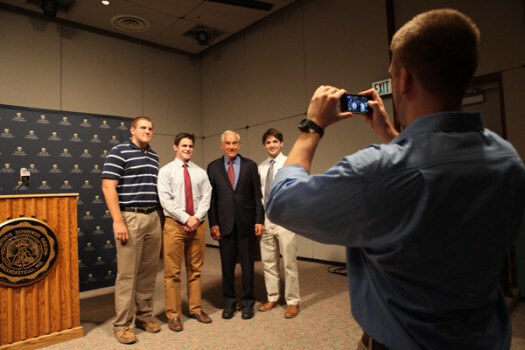 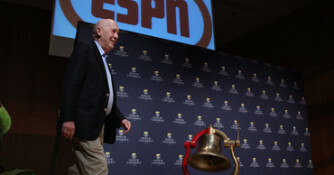 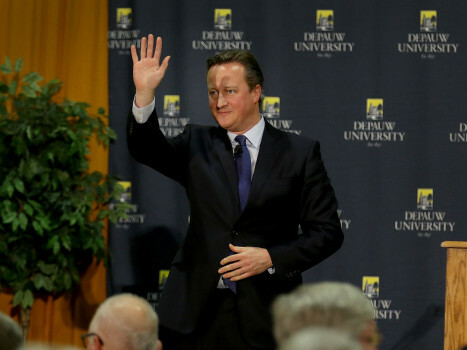 DePauw University has welcomed dozens of the world's leaders to campus as part of the Ubben Lecture Series. 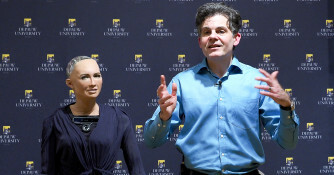 For a complete archive of past lectures, please visit our archives page. 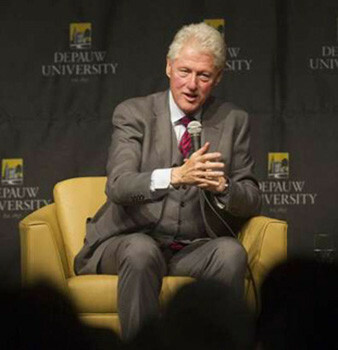 Former President Bill Clinton spoke in November 2011. 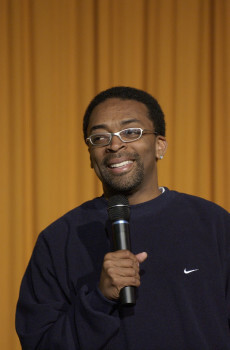 Filmmaker Spike Lee at DePauw in April 2003. 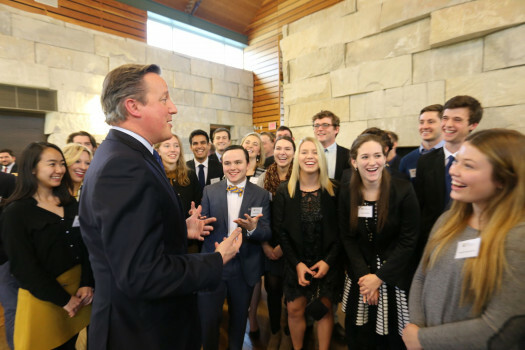 David Cameron held a forum with DePauw students before his Dec. 8, 2016 Ubben Lecture. 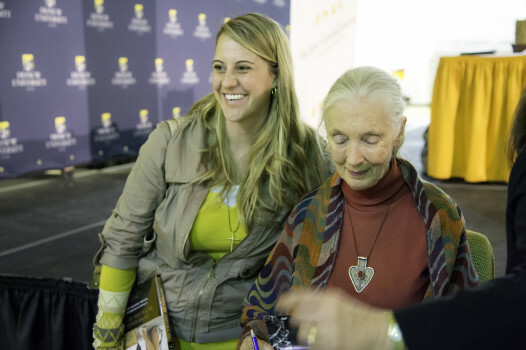 Jane Goodall's April 2013 speech was followed by a book signing. 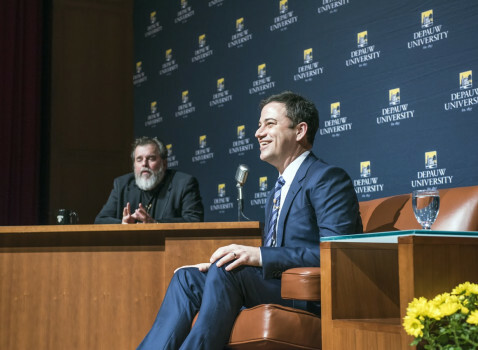 Jimmy Kimmel engaged in conversation with Prof. Tom Chiarella on November 8, 2014. 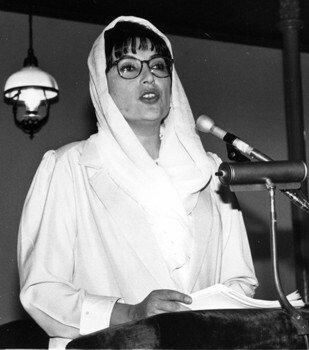 Pakistan's Benazir Bhutto at DePauw in May 1997. 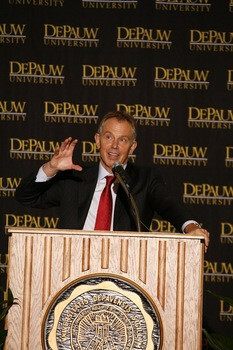 Former British Prime Minister Tony Blair in March 2008. 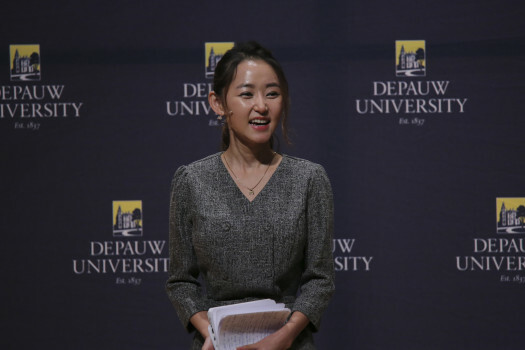 Human rights activist Yeonmi Park became the youngest-ever Ubben Lecturer on Oct. 5, 2015. 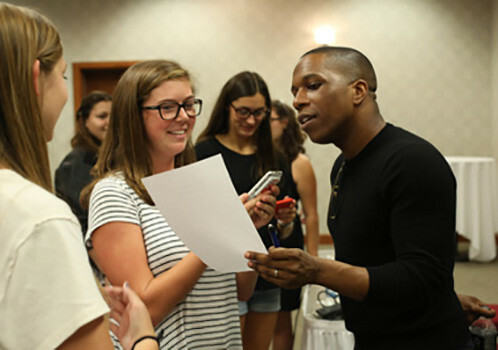 Leslie Odom Jr. talks with DePauw student journalists; Sept. 20, 2016. 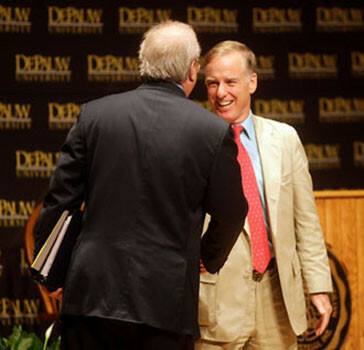 Karl Rove and Howard Dean debated in September 2009. 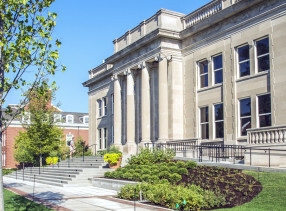 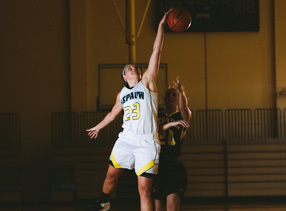 The Timothy and Sharon Ubben Lecture Series brings the world's leaders to DePauw's campus. 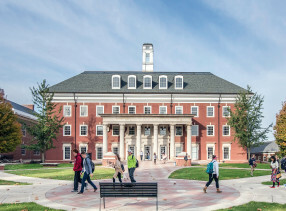 A notable list of eminent individuals from a variety of backgrounds — including politicians, scientists, journalists, artists and human rights activists — have presented 112 Ubben Lectures since the series began in 1986 through a gift from 1958 graduates Tim and Sharon Ubben. 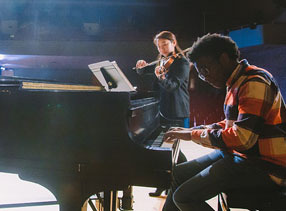 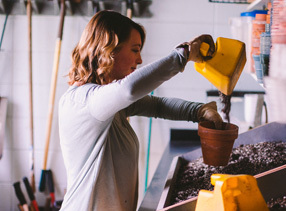 All of the programs are free and open to the public. 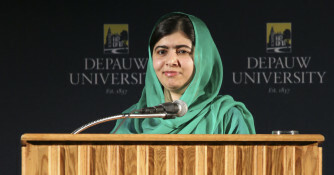 Past speakers have included Malala Yousafzai, Bill Clinton, Margaret Thatcher, Jimmy Kimmel, Jane Goodall, Elie Wiesel, David Cameron, Leslie Odom Jr., Tony Blair, Benazir Bhutto, Jesse Jackson, Mikhail Gorbachev, Peyton Manning and Spike Lee. 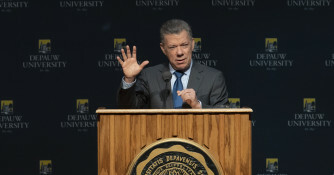 The first Ubben Lecture of the 2018-19 academic year was presented by Juan Manuel Santos, the president of Colombia since 2010 and the recipient of the 2016 Nobel Peace Prize, on Monday, October 22. 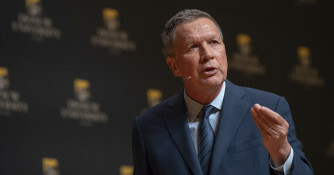 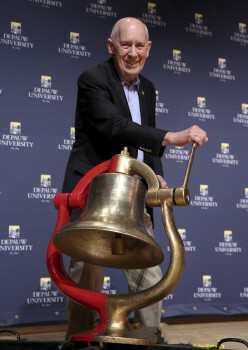 John Kasich, who ran for president in 2016 and is considering another candidacy for 2020, came to DePauw on January 31. 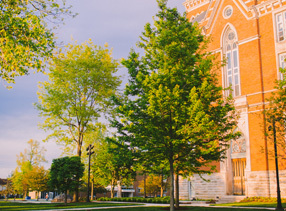 A list of DePauw's most recent Ubben Lecturers is available below, and a roster of all speakers is available in the Ubben Lecture Archives. 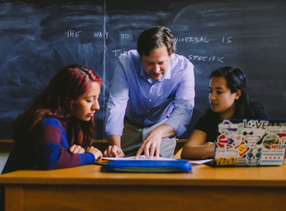 Most entries include summaries and video links.